The second nationally televised debate between President Barack Obama and his Republican challenger Mitt Romney served only to underscore the hypocrisy and deceit that pervade the entire election. Two representatives of the corporate-financial elite that rules America spent nearly two hours trying to sell themselves as partisans of the common man in a thoroughly stage-managed production. It was painful to watch and a struggle to stay awake. As has become the norm in American politics, it was a “debate” without any discussion or substance, a tired and empty ritual designed to conceal the truth and chloroform the public. Every aspect of the event was orchestrated and vetted. The so-called “town hall” setting had nothing to do with a real give-and-take with ordinary people. The 82 people sitting on the stage with Obama and Romney had been chosen by Gallup, the polling firm, from so-called “undecided voters” residing in the Hempstead, Long Island area, where the debate was held. Following a rehearsal the morning of the event, these 82 hand-picked voters submitted their questions to the moderator, Candy Crowley of CNN, who then decided the questions to be asked by choosing which of the 82 would get to speak. The microphones of the questioners were automatically shut off as soon as their questions had been asked. Both candidates ritualistically invoked the American “middle class,” which has largely disappeared, as millions have been thrown into the ranks of a working class whose existence neither candidate acknowledged. They repeatedly declared their commitment to improving the lot of the “middle class,” while concealing the plans being worked out between the Democrats and Republicans for after the election to drastically cut basic social programs upon which tens of millions of people depend. Hovering in the background was the catastrophic state of American society, which neither candidate seriously addressed. Romney mentioned the growth of poverty and continuation of mass unemployment only as talking points to use against the incumbent. Obama never acknowledged them. A basic purpose of the spectacle was to create the illusion of fundamental policy differences between the two candidates and their parties, when there are none. The political differences between the Democrats and Republicans reflect secondary tactical differences within the ruling oligarchy. The first question and the candidates’ responses set the tone for the evening. A 20-year-old college student said he was being told he had little chance of getting a job after he graduated, and asked what the candidates could say to reassure him that he would be able to support himself. Romney declared that he knew “what it takes to create good jobs again” without offering any specifics. Obama began by saying, “Your future is bright.” He then boasted of his bailout of General Motors and Chrysler, claiming he had saved 1 million jobs, without mentioning the brutal cuts in wages and benefits he imposed on the workers. Neither of the two could offer any policies to address the disastrous situation confronting young people and students. When Crowley asked them to address the plight of the 40 percent of unemployed people without a job for more than six months, both were silent on the bipartisan bill passed last February to slash the duration of jobless benefits and their plans to terminate extended unemployment benefits altogether on January 1. The discussion that followed—presented by the media as a conflict between drastically different “visions” for the future—was characterized mainly by basic agreement of the two candidates: on the attack on immigrants, the opening up of public lands to energy corporations, corporate tax cuts, war abroad, the “reform” (i.e., privatization) of public education, and other issues. 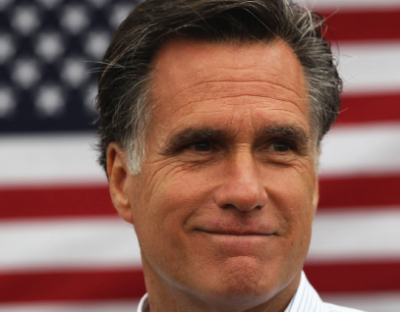 This echoed Romney’s repeated insistence that the cure for all social ills was to make the United States the most attractive place for corporations to make money. There was not a single memorable statement, or honest or original thought. Nor could there be in such a carefully crafted exercise in manipulation and deceit.